Inatur Sunshield Sun Protection Lotion SPF 30 is a water-resistant sunscreen lotion that provides superior skin protection from harsh summer elements, clinically proven to prevent from the signs of sun damage. It is non-comedogenic, non-irritant, water resistant and can be used as a base before makeup. Explore the entire range of Sunscreen available on Nykaa. 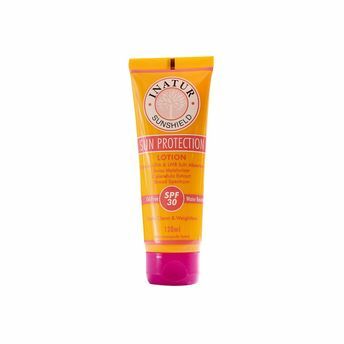 Shop more Inatur products here.You can browse through the complete world of Inatur Sunscreen .